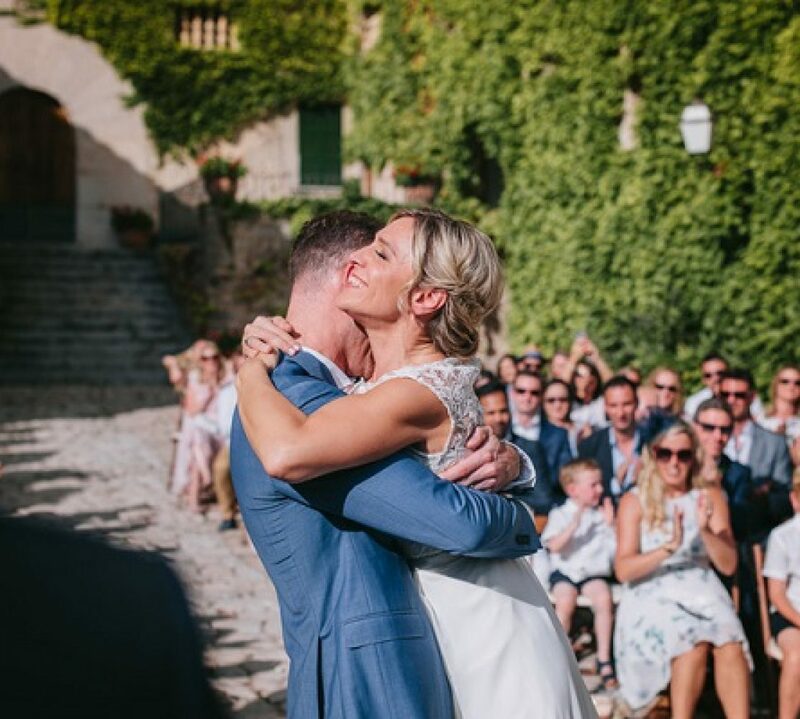 N dreamed of a summer wedding in Mallorca to marry the love of her life D. They chose the stunning wedding reception venue Son Marroig to hold their elaborate wedding reception draped with white flowers, elegant lighting and delicious food for guests to enjoy. N and her bridesmaids all enjoyed a refreshing morning at their hotel in Palma having their hair and make-up done. N was glowing from the very start of the day! One of the most challenging parts of planning your wedding can be venue selection. 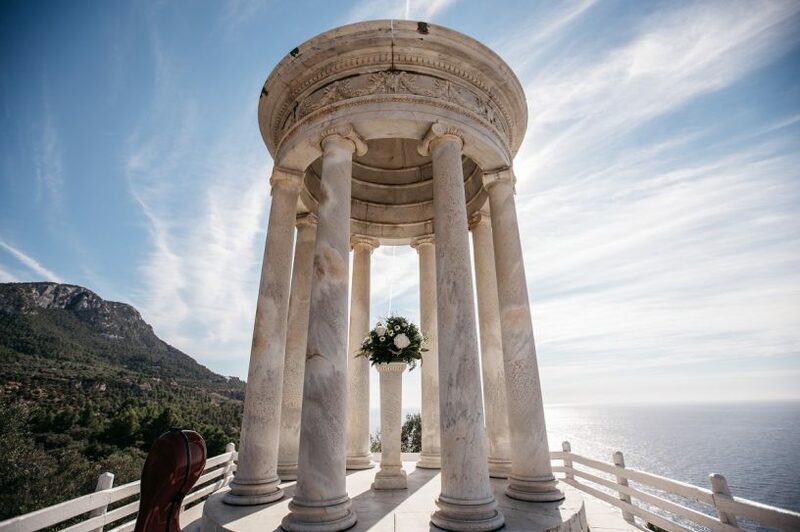 When considering a wedding in Mallorca some people opt for traditional fincas in the countryside, while others prefer boutique hotels with sea view, stylish restaurants or casual beach clubs. 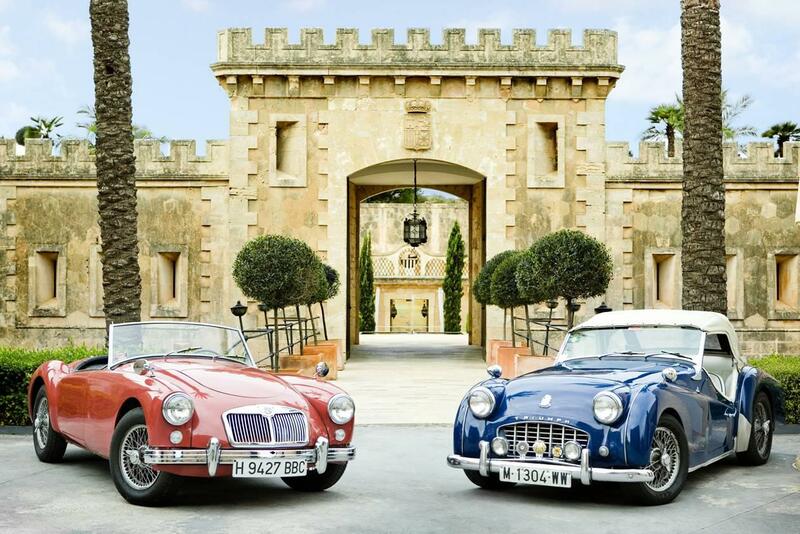 Whatever you decide, the wedding venue will really set the tone for your wedding. 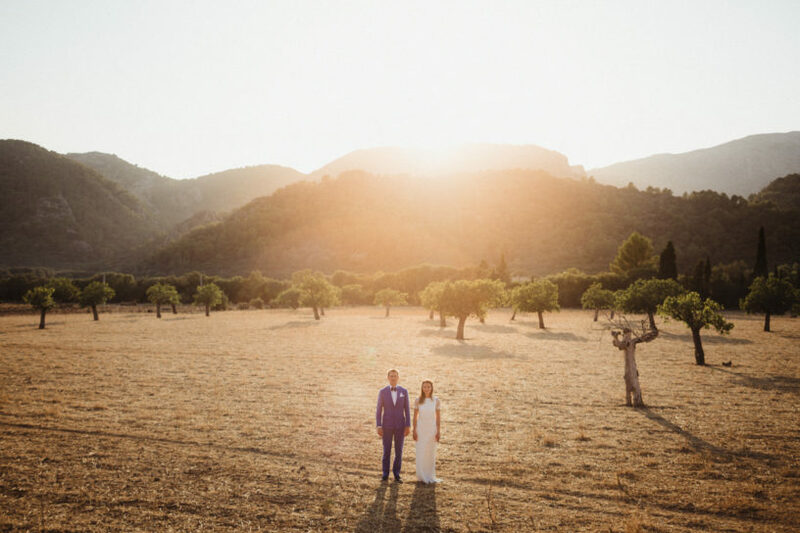 If you are looking for a finca wedding in Mallorca, here is one of our favourites. 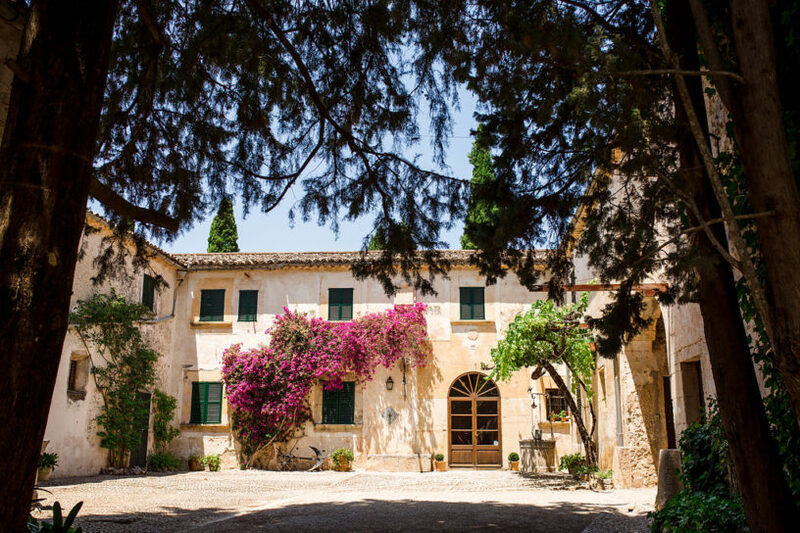 This peaceful and quiet location, set in the heart of Mallorca, is an old finca from the 18th century, with older settlements that date back to the Arabic period. It offers several refurbished and independent bungalows for a total of 26 people, has a swimming pool, and private paths along the forest and mountains to do some trekking. The house is perfect for small or middle-size events for up to 120 guests. It is also perfect for ‘retreats’ for businesses or yoga and alternative therapy groups looking for privacy and peace. 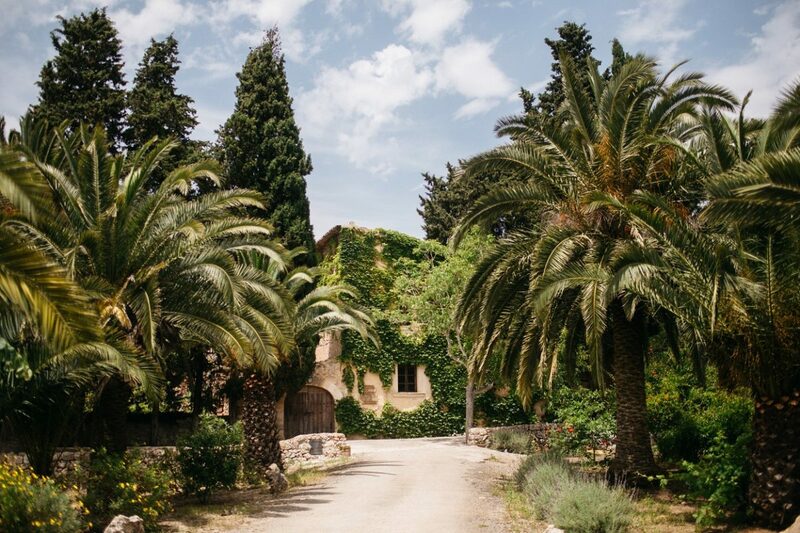 The finca is listed as number 024 in our event venue catalogue in Mallorca. It is the perfect base from which to explore the delights of the island, to entertain friends and family, or to celebrate a special event or wedding.